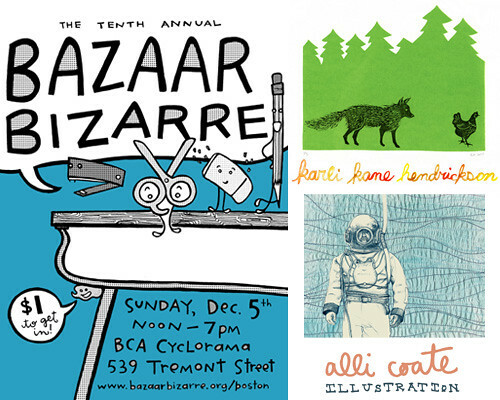 I am getting so excited for Bazaar Bizarre Boston this Sunday, it will be my first time attending or selling there. I'm sharing space with fellow artist friend Karli Hendrickson who makes awesome prints. Come visit us at booth 114!